Regardless of what activity gets you outside and adventuring, preparedness is essential. 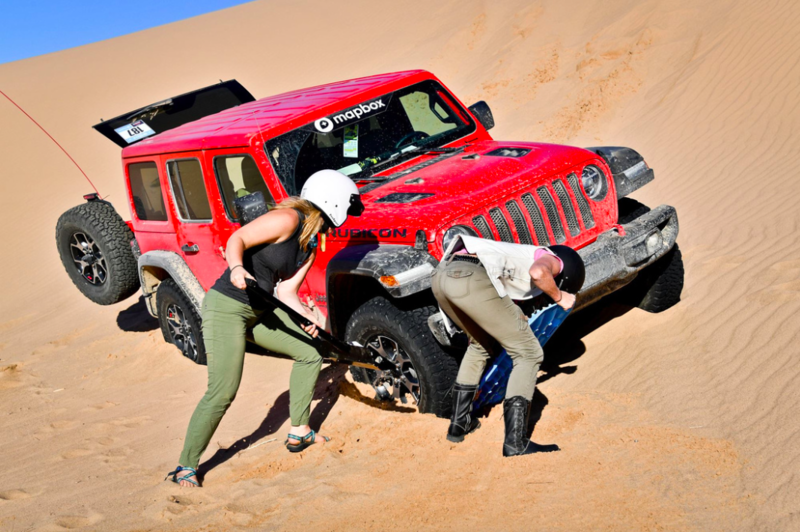 As a first time off-road experience, the Rebelle Rally taught me a lesson (or two, or three) about how to be self-sufficient when driving in the world of off-roading. Through these realizations, not only did I leave the event feeling capable of getting myself out of just about any situation my little Jeep could get into, I also gained a new perspective for just how far I can go if I have the right gear in my rig. As a backcountry enthusiast, I’ve learned more resourceful tricks to gaining traction than I care to list. From sticks in the mud to pine needle branches in the snow, I’m sure we’ve all been creative before. The glory of Maxtrax is that they eliminate that struggle. 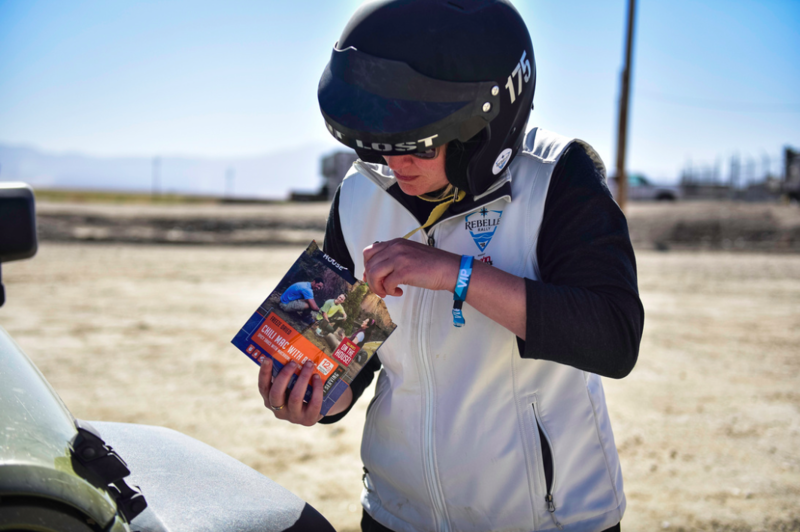 Whether driving through dried lake beds damp from a recent flash flood to the sand dunes of Glamis, CA – wherever we got stuck, Maxtrax saved the day. Sometimes, you’ve got to dig yourself out of a hole (literally). Having a shovel on hand was the peanut butter to the Maxtrax jelly. An endless selection of shovels exists that would do the trick. I mean, it’s a shovel. However, I personally use my Voile avalanche shovel. It’s lightweight, compactable, and I have it around anyways for when I’m in the backcountry – why not double up the use and take it off-roading? The rule of thumb is; never trust technology. Yes, GPS and other electronic devices provide a convenience when heading out on a trip. However, do not be reliant on that technology because if something goes wrong, such as a dead battery or lost signal, you better know how to get yourself to safety. 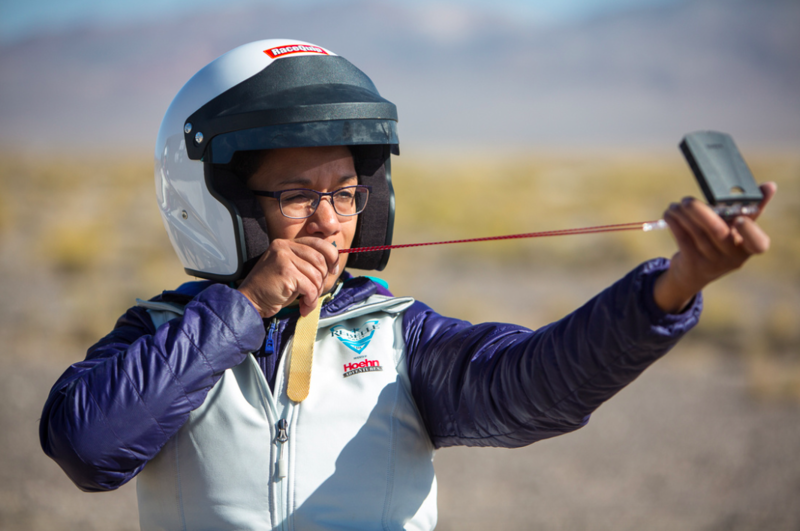 Have a compass in the car and please, learn how to use it before you head out on your adventure. Suunto makes quality navigational compasses with an abundance of features. When you’re off-roading, you never really know what could go wrong. From tightening a car battery to rescuing your distance ruler from the crease in your dash with needle nose pliers (yes, this actually happened) – there’s always a reason to have a multitool in the car. Again, a quick google search will give lists of multitools to consider. My personal favorite is Leatherman Tools. I have the Signal tool because of its added outdoor specific features including a hammer, fire starter, and mini-saw. Pretty sweet, huh? 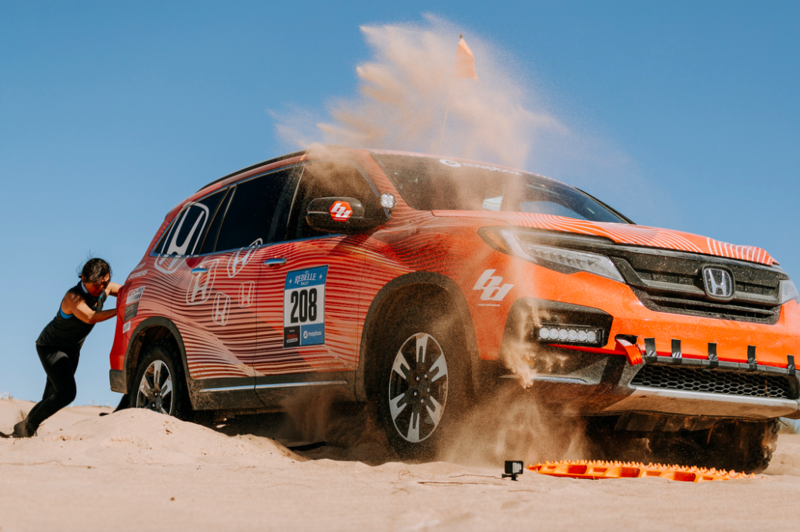 During the Rally, participants were often out off-roading in remote areas for anywhere between 10 to 12 hours. The savoury savior from hangry partners was Mountain House meals. A little water added and 10 minutes later, the gals could be enjoying a real lunch as opposed to snacking all day and arriving at base camp famished. Having food in the car as a just-in-case emergency option is always a good idea, no matter if you’re off-roading or road tripping with the family. Grab a few pouches and tuck them under your seats for an unpredictable day – your hunger will thank you. Brooke Jackson is a writer/photographer based in Seattle, WA and founder of Wandering Trails Media. Her background specializes in climbing, kayaking, and skiing – but really, you’ll find her trying just about anything outside! 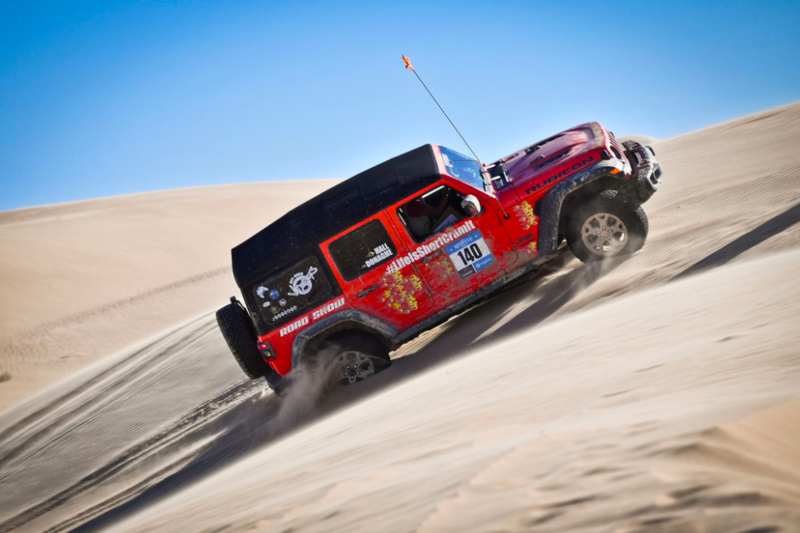 This entry was posted in General and tagged gear guide, off-roading, rebelle rally by Guest Contributor. Bookmark the permalink.